This ornate lamp was donated by Hamburg, West Germany in 1979 and is a replica of a lamp found in Hamburg at the Lombard Bridge. 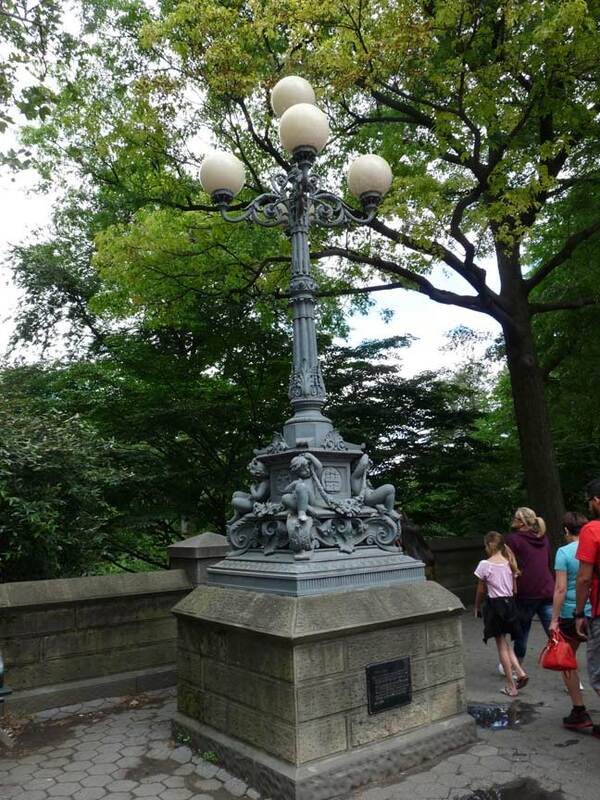 The plaque reads “This Lombard Lamp is presented to the people of New York City and by the people of the Free and Hanseatic City of Hamburg so that it may forever brighten a bridge of friendship in human relations, trade and commerce.” It can be found at the west side of Grand Army Plaza on 5th Avenue. A second Lombard Lamp replica was donated to Chicago, which placed it in its Lincoln Square neighborhood in the same year. 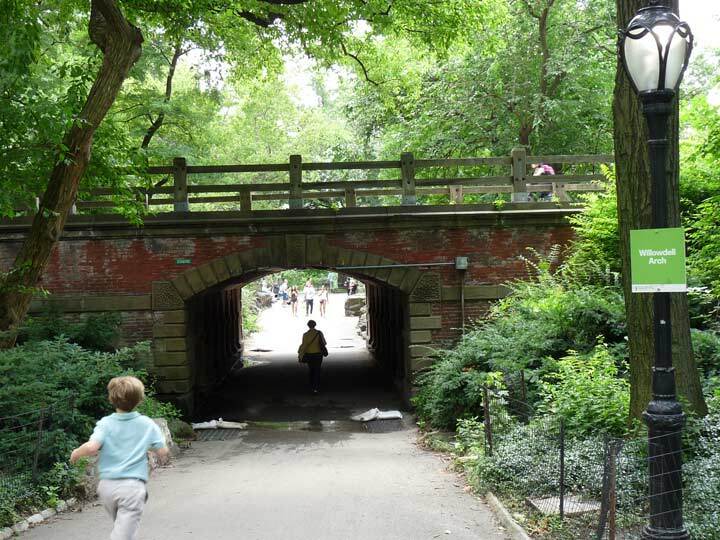 Willowdell Arch near Literary Walk was built in 1861 and designed by Calvert Vaux and Jacob Wrey Mould, this is one of Central Park’s original brick arches. Some of the blocks on the arch, including the keystone, are vermiculated: they have designs cut in them resembling worm tracks. 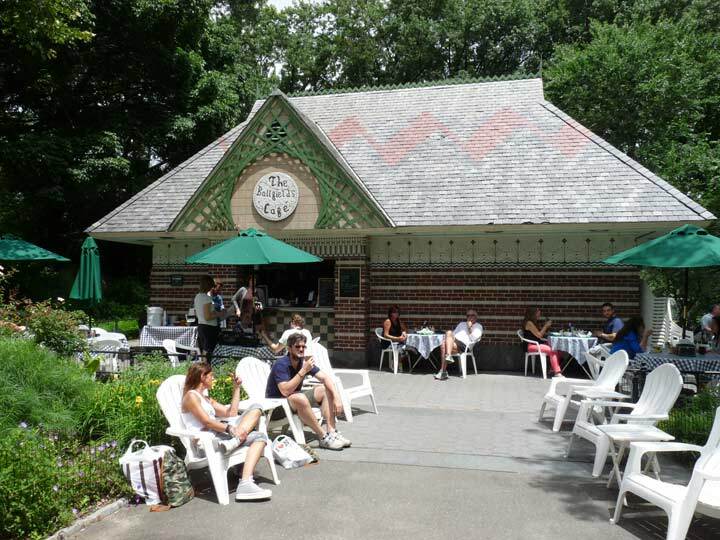 Ballfields Cafe: this Victorian-styled building is a replica of the original Ballfields Cafe, which stood from 1873 to 1969. 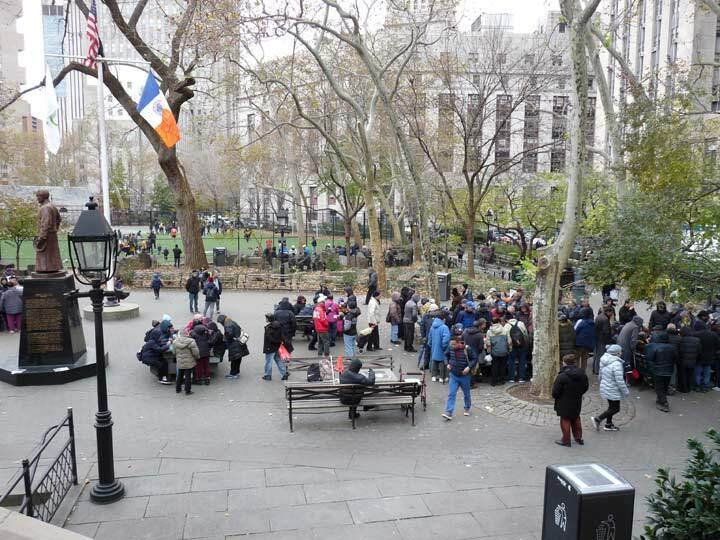 You can get hot dogs, sodas and sandwiches watching the ballplayers and listening to the music from the nearby Carousel.